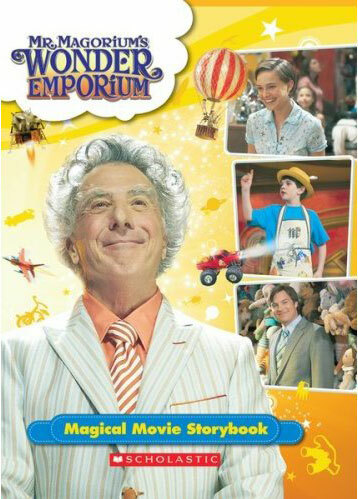 Released today is the official storybook for the upcoming film: Mr. Magorium’s Wonder Emporium starring Dustin Hoffman, Natalie Portman, and Jason Bateman. I adapted this book from the wonderful screenplay by Zach Helm. The book is titled (coincidentally): Mr. Magorium’s Wonder Emporium Magical Movie Storybook. Movie tie-in books are always fun because not only do I get to read a copy of the upcoming movie’s script (which is almost always top secret) but also, as in this case, I was able to see dozens of photos from the set. Of course, some of the magic is gone when I have to spread out these photos (over a hundred) all over the floor and figure out which ones I’m going to use in the book. This project was also a pleasure because the script was one of the best I’ve read in a long time (and I’m not just saying that because I wrote the storybook). 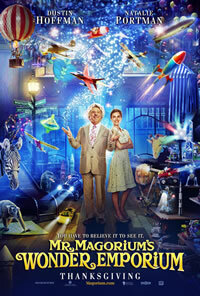 The story has a simple yet unusual premise that should entertain young and old alike. And if the film is as good as the screenplay (and it should be, it was directed by the writer himself), then viewers shouldn’t be disappointed. Be sure to see it this Thanksgiving when it hits theaters. Click the poster below to visit the official site.